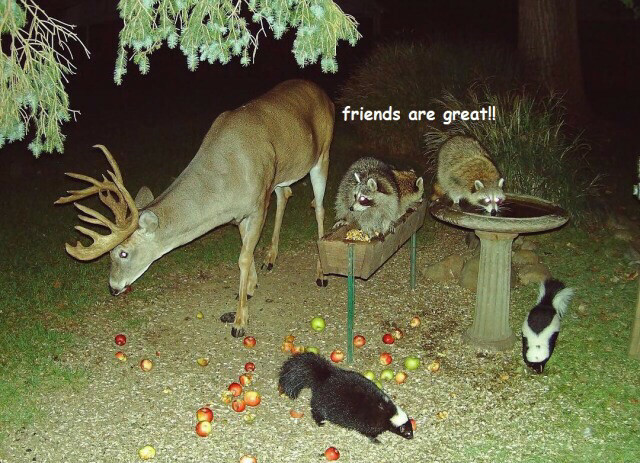 re:lrt: a night photo of three raccoons, two skunks, and a deer enjoying a birdbath, bird feeder, and a scattering of apples on the ground, with small text saying "friends are great!!!" 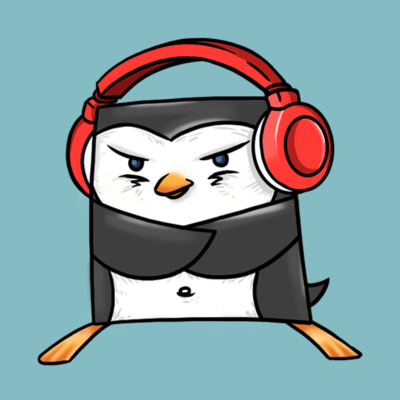 @otteruw8ing4 Just missing a screamy 'lil @brushy ina Snoop-Dog-esque cloud. @otteruw8ing4 This is Mastodon on so many levels. Furries. Diversity. Friendly individuals. But also: "Hey I just opened a new instance!" - "K thx we'll eat all your storage space and bandwidth"
#ImageDescription of lastboost: A deer, some raccoons and skunks sitting on a bird bath and feasting on windfall apples. @otteruw8ing4 Some are big and will stab you and others stink to high heaven.